This time is fast flowing! Not long ago we informed you about the problems in GRC and the creation of ARX… meanwhile we have already behind the third round of a new series – ARX of Canada. The competition took place at the Canadian Grand Prix de Trois-Rivières. At the same time the FIA World Rallycross Championship round was played. Last weekend was therefore a great festival of rallycross! World RX & ARX of Canada – one place, one time, one sport, one love, two differents series. Scott Speed from Volkswagen Andretti Rallycross reacted fastest away from the start in Q1 Race 2 and led the field from the front for the full race to beat the best time set by Ken Block in race one. Third quickest was Speed’s teammate, ARX Round 1 winner Tanner Foust, who started on the outside of the grid in Q1 race two. Subaru drivers were again less fortunate. Chris Atkinson reached the fourth time, while Patrik Sandell was fifth. Worse went to Jacques Villeneuve, who made his debut at ARX, but it only achieved the seventh result in first qualification. 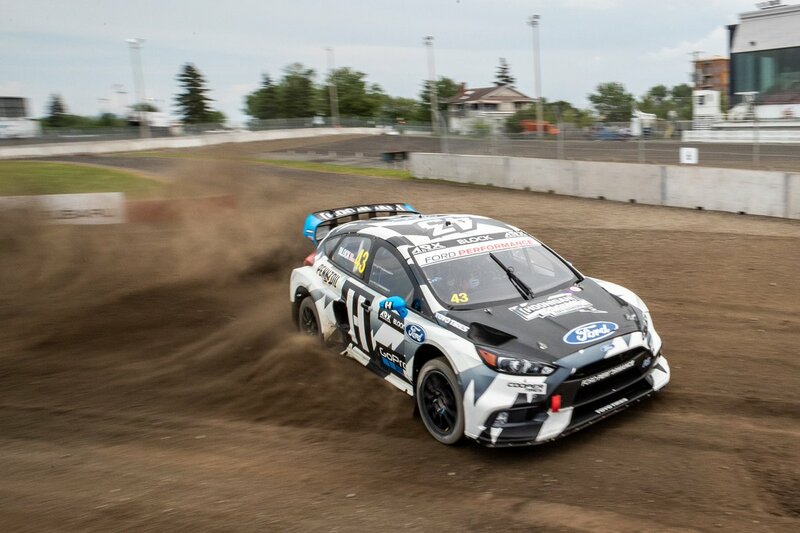 Scott Speed again was the fastest in Q2 in round three of Americas Rallycross (ARX) at the Grand Prix de Trois-Rivieres in Canada. While Speed was clear out front in a session of high drama, his teammate Tanner Foust crashed out by hitting the wall on the inside of turn two head-on while trying to overtake Ken Block. His Volkswagen Beetle was then collected by Subaru Rally Team USA’s Patrik Sandell. Fortunately, nothing happened to the driver. The mechanics worked all night to bring the car to service the next day. Q2 results? First – Scott Speed, Second – Ken Block, Third – Steve Arpin. Chris Atkinson has reached the fourth time. After a night of full work, it was time for Sunday’s struggles on ARX of Canada. In the first Q3 race the best time was achieved by Tanner Faust, who thanked the same mechanics for very hard work at night. In the second race of the Q3, the best was Scott Speed, whose time turned out to be the best in the entire Q3. Thus, the drivers completed the top two positions. Ken Block and Steve Arpin had to watch the back of the Speed car. They managed to take third and fourth place in the third qualification. You can see here some dependence… Volkswagen vehicles proved to be the best again. Behind them were Ford Focus. Q4 promised to be interesting! Chris Atkinson, leading Subaru, finished race 1 with the best time. Finally, there has been a break from Subaru Rally Team USA! Scott Speed, however, had no pity for rivals during the last Q4 race. His time turned out to be the best. Faust struggled with technical problems. Ken Block stably, he achieved the third best time. 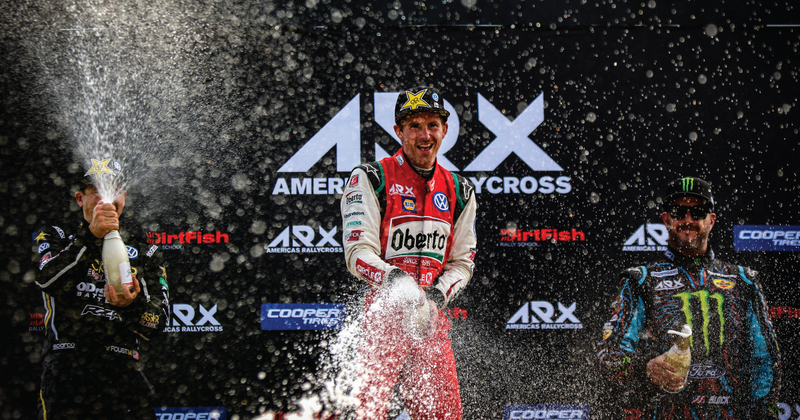 Scott Speed dominated the semi-finals and the final of the struggle in ARX of Canada. The only threat to the driver was team-mate Tanner Faust, who tried to win the first position during the penultimate lap. Ken Block probably collected points in individual runs and won the lowest place on the podium. Only Patrik Sandell stood out in the Subaru USA Rally Team, currently third in the overall standings. 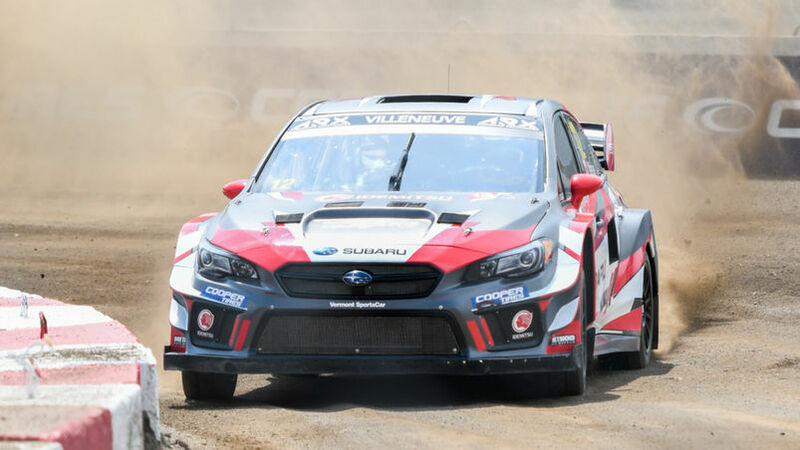 No podium in single rounds doesn’t discourage Subaru drivers in the fight for the final podium of the season.